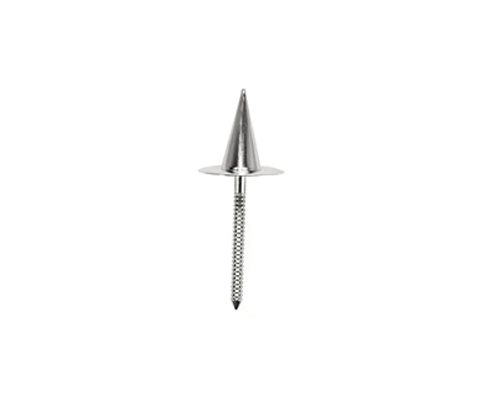 The purpose of a rose nail is to provide a platform where you can build your icing designs while turning the rose nail in your hand. This is much easier than trying to pipe a rosette directly onto a cake. 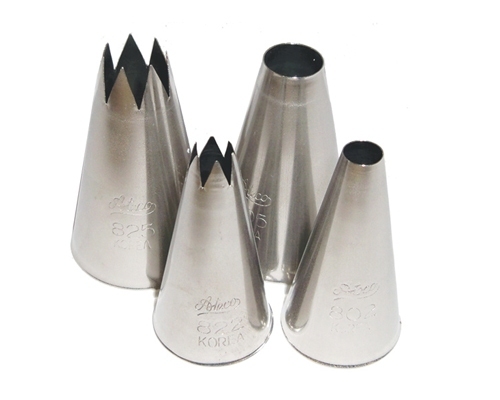 These are also available in different widths, which help you to make consistently sized flowers. Meaning that if you come all the way out to the rim, you know that each flower is 1.5 inches wide. Upon completion, transfer the icing flower to your cake with a small offset spatula, rose lifters, or scissors. Ateco 10 in. 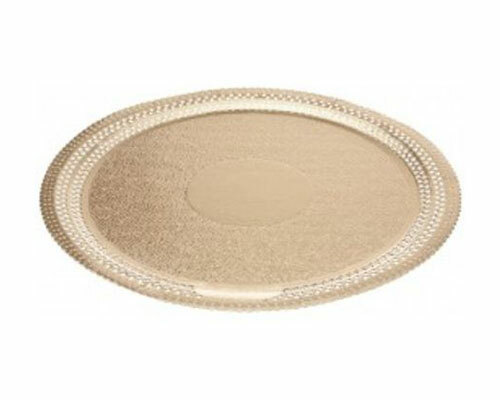 Gold Foil Cake Board is used on a cake stand to help ease the transition of the cake after decorating, onto the presentation platform. Its not only helpful, but decorative as well. Set of 10 assorted tips, sizes: 5/32 in., 3/16 in., 1/4 in., 5/16 in., 3/8 in., 7/16 in., 1/2 in., 9/16 in., 5/8 in., 11/16 in., Seamless opening. The Ateco 10 Pc. 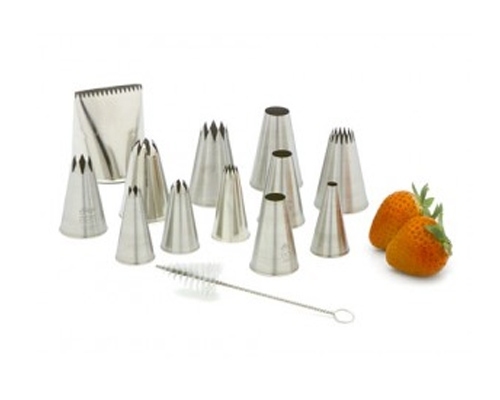 Plain Round Pastry Tip Set is useful to make dots, vines, scrollwork, little flowers and lettering on your cakes. Set of 10 assorted tips, sizes: 5/32 in., 3/16 in., 1/4 in., 5/16 in., 3/8 in., 7/16 in., 1/2 in., 9/16 in., 5/8 in., 11/16 in. Seamless opening. 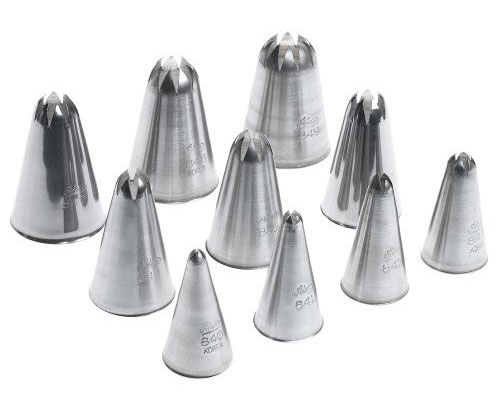 The Ateco 10 Pc Star Pastry Bag Tip Set includes the following sizes: 5/32 in., 3/16 in., 1/4 in., 5/16 in., 3/8 in., 7/16 in., 1/2 in., 9/16 in., 5/8 in., 11/16 in. Seamless opening. 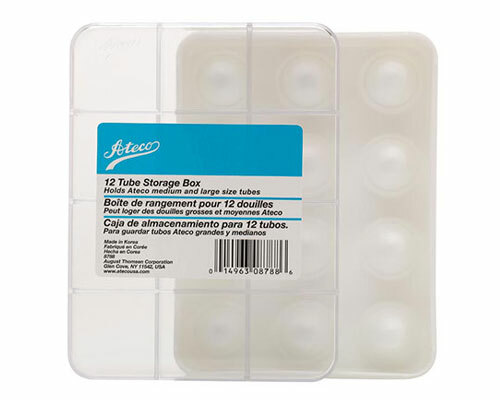 Ateco 12 Tube Storage is ideal for organizing medium/large pastry tubes and couplers that can be put on the shelf or packed up for travel. Made of Plastic. Heavy duty, holds cakes over 150 lbs. 12 in. dia x 5 in. Cast iron base, 1/8 in. aluminum top. 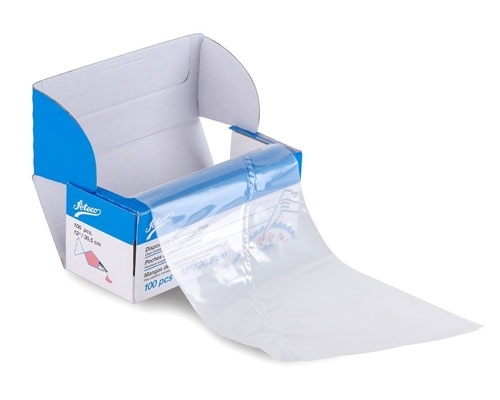 Disposable pastry bags, 100 to a roll. These are perforated to form right triangle 12 inch bags. 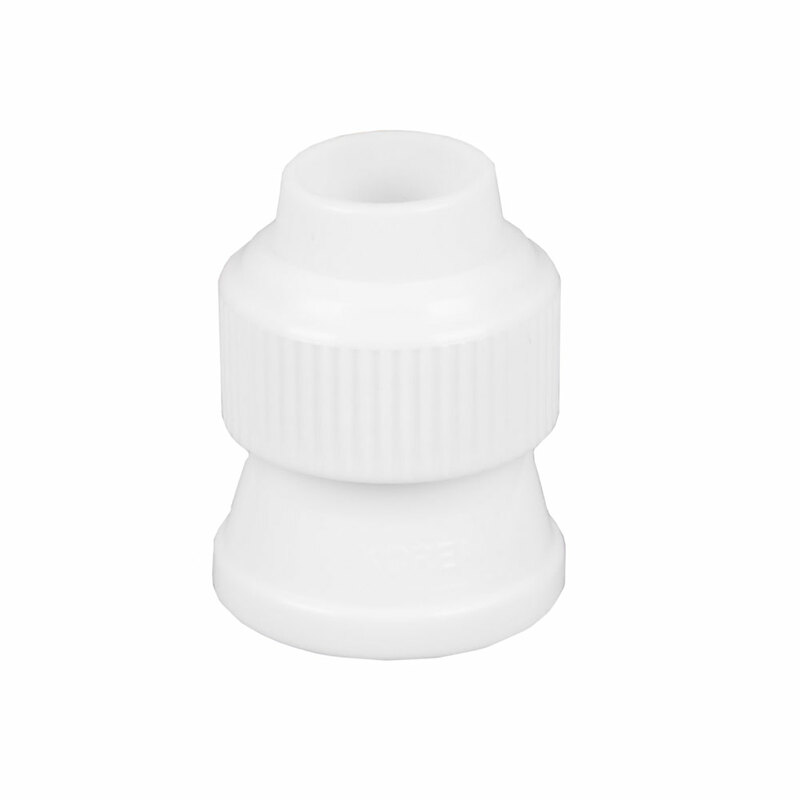 Soft, pliable polyethylene (0.0035 in. thick) has a nice non-slip texture for use in cake decorating or chocolate work, hot or cold. 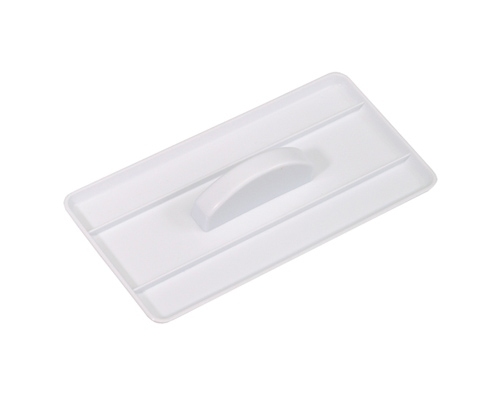 It's easy to see through and check for air bubbles, great for clean-up as you just throw them away after use. The Ateco 12 in. Pastry bag is plastic coated, and reusable, great for hot foods. The Ateco 12 in. 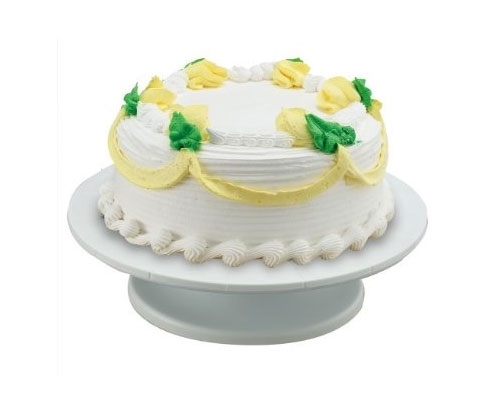 Revolving Plastic Cake Stand makes decorating your cake easy, rotate the stand, as you pipe designs. 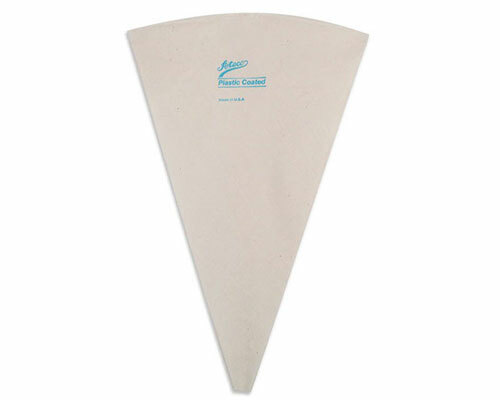 The Ateco 14 inch Flex Pastry Bag is reusable, and has a hemmed top and hanging loop. Ateco's 14 in. Polyurethane Pastry Bag is the ideal choice for versatility. This bag can be used for icing, creams, mashed potatoes..etc. Polyester Sheeting with 3 layers of Polyurethane. The Ateco 14 in. Pastry bag is plastic coated, and reusable, great for hot foods. Ateco's 16 in. 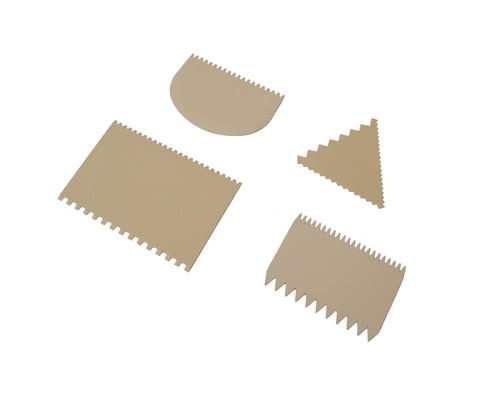 Polyurethane Pastry Bag is the ideal choice for versatility. This bag can be used for icing, creams, mashed potatoes..etc. Polyester Sheeting with 3 layers of Polyurethane. The Ateco 16 in. Pastry bag is plastic coated, and reusable, great for hot foods. 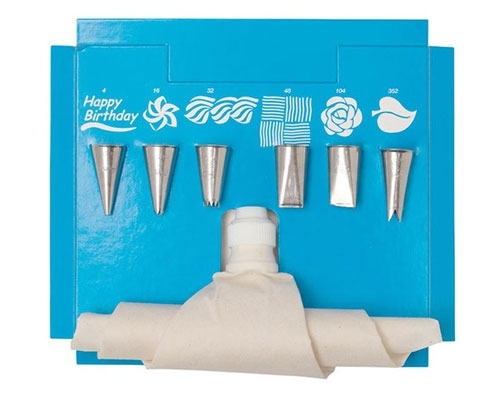 Disposable pastry bags, 100 to a roll. These are perforated to form right triangle 18 inch bags. 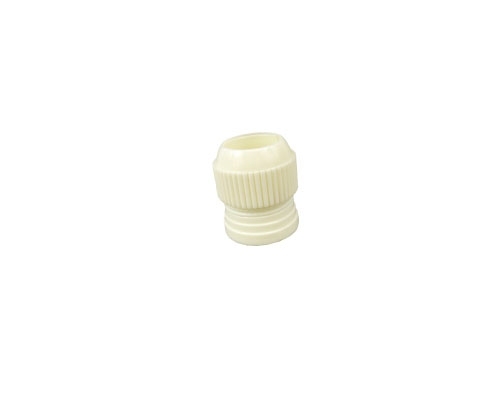 Soft, pliable polyethylene (0.0035 in. thick) has a nice non-slip texture for use in cake decorating or chocolate work, hot or cold. It's easy to see through and check for air bubbles, great for clean-up as you just throw them away after use. Ateco's 18 in. 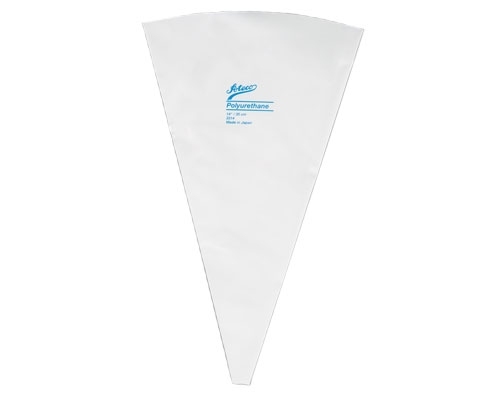 Polyurethane Pastry Bag is the ideal choice for versatility. This bag can be used for icing, creams, mashed potatoes..etc. Polyester Sheeting with 3 layers of Polyurethane. The Ateco 18 in. Pastry bag is plastic coated, and reusable, great for hot foods. Ateco 18 in. Striper Bag Insert is a fun way to do frosting with different colors. This lets you fuse together 2 colors. 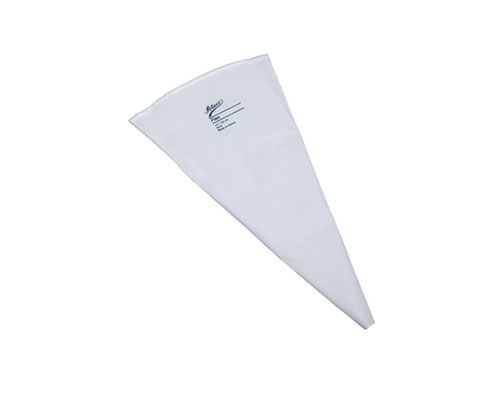 Can be used in any pastry bag up to 18 inches. 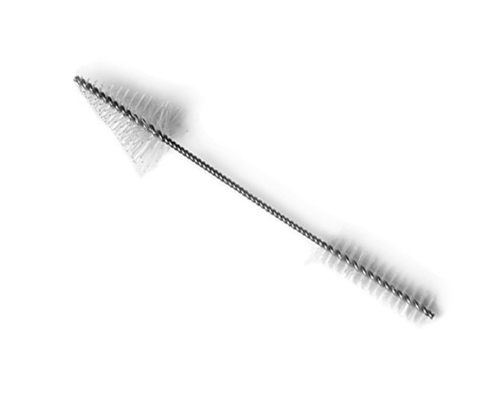 Pack includes 10 disposable striper inserts. The Ateco 21 in. Pastry bag is plastic coated, and reusable, great for hot foods. The Ateco 24 in. Pastry bag is plastic coated, and reusable, great for hot foods. 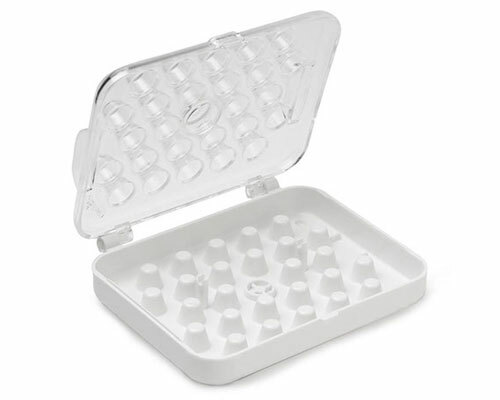 Ateco 26 Tube Storage is ideal for organizing 26 small/standard pastry tubes and couplers that can be put on the shelf or packed up for travel. Made of Plastic. 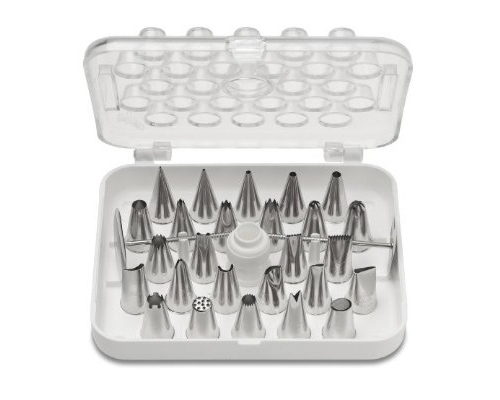 Set contains 26 of our most popular decorating tubes assembled in a hinged storage box. This coupler allows you to change pastry tips without emptying the bag. 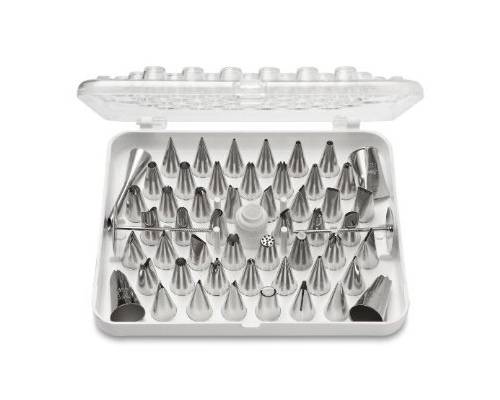 It is intended for the pastry tips that are included in your Shasta Pastry Kit. It accommodates the 6 small to medium tips, but not the four largest ones. 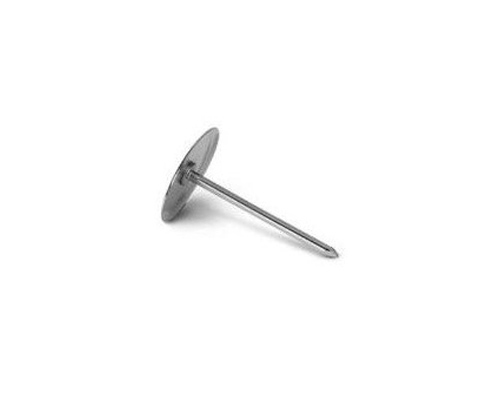 This is not for use with the 29 piece set. Those are smaller tips and a coupler is already included in that set. 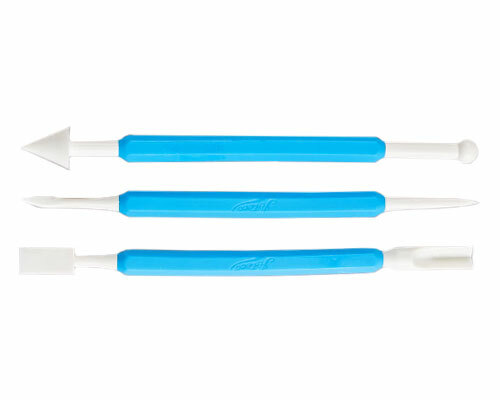 Ateco 4pc Rose Tube Set includes a coupler and 3 rose tips (small, medium and large). 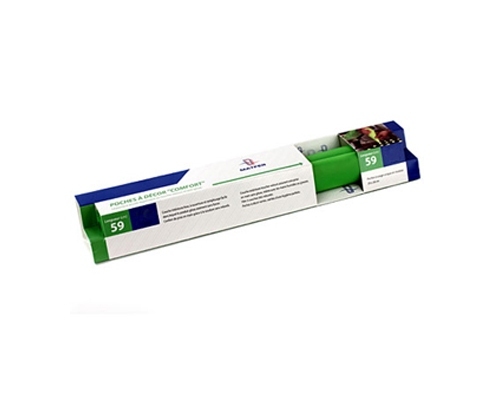 The Ateco 55 pc Decorating tip set includes 52 of our most popular decorating tubes assembled in a hinged storage box. 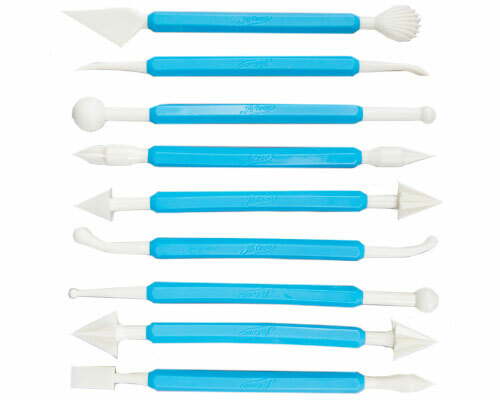 These tools are used on Fondant and Sugar/Gum Paste to shape, create and design artful detail to flowers, petals, ribbons and more. Ateco 8 in. 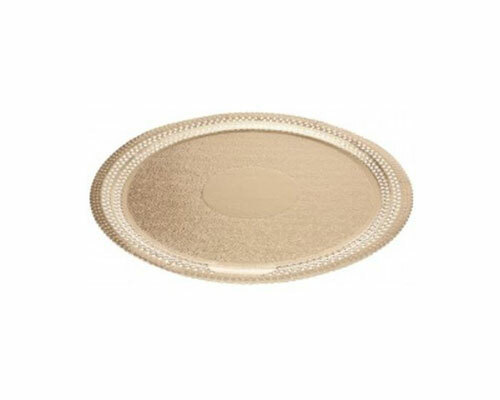 Gold Foil Cake Board is used on a cake stand to help ease the transition of the cake after decorating, onto the presentation platform. Its not only helpful, but decorative as well. 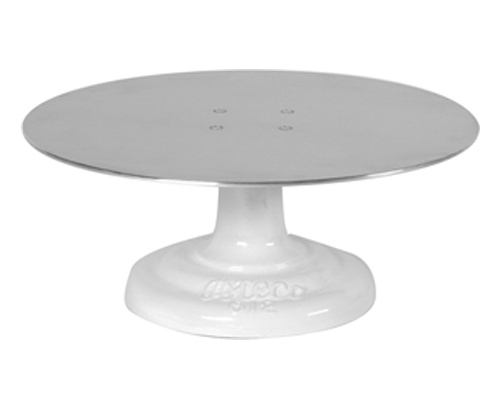 Ateco Aluminum Revolving Cake Stand makes it easy to decorate and display cakes up to 12 in. diameter. 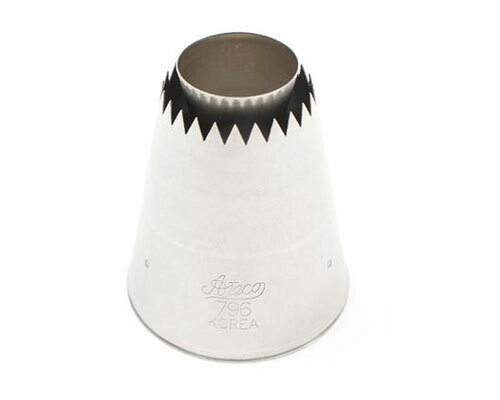 Stainless steel ball bearing mechanism for an ultimate smooth rotation while decorating. Never worry about caved in cakes again. 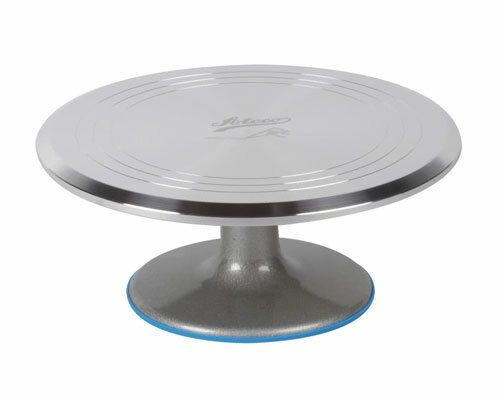 Use an Ateco Cake Heating Core! 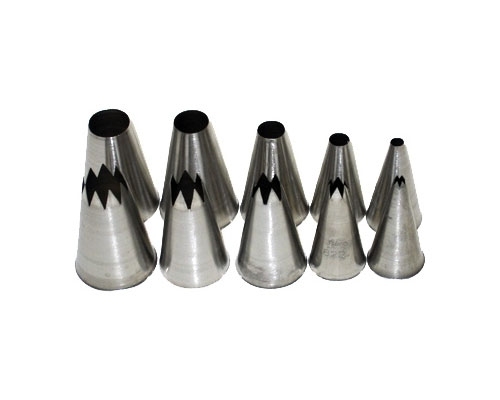 These cores help to cook the middle of your cakes, making sure that it is baked through completely. Conducting heat into the center of your pan, it allows your cake to rise and bake evenly. Simply grease the cores, place them flat side down and spaced evenly in your pan, add the batter, and bake. 4 cores included. 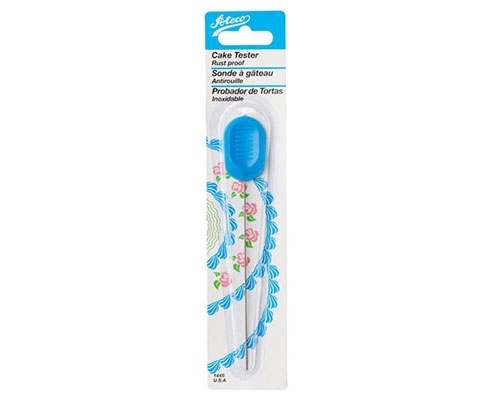 Ateco Cake Tester is basically a re-usable tooth pick to check how well done the cake is. 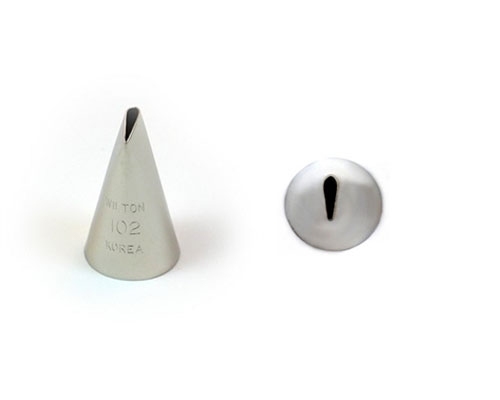 This is also commonly used for testing the temperature of foods by professionals by comparing the temperature of the tester after being inserted into the food and then touched to your chin. The Ateco 3.8 in x 6 in. Stainless Steel Metal Decorating Comb has four different sides. Three with different patterns, to create unique designs on the side of any cake, and one straight edge for smoothing icing. 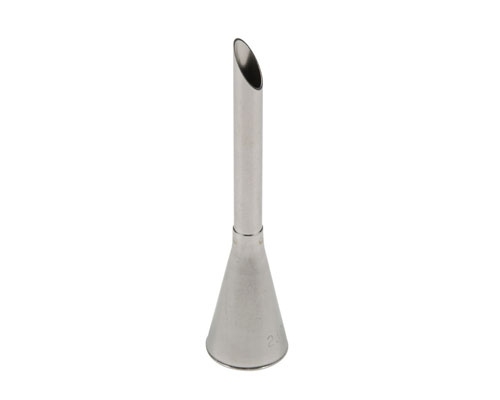 The Ateco Eclair Tip (Large Bismark Tube) is perfect for filling pastries with frosting or cream. 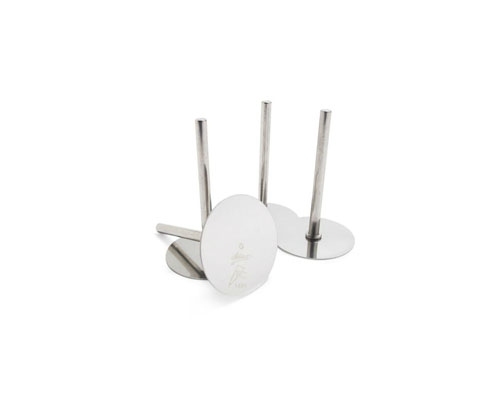 The tube is made of nickel plated steel, and is ideal for larger pastries. 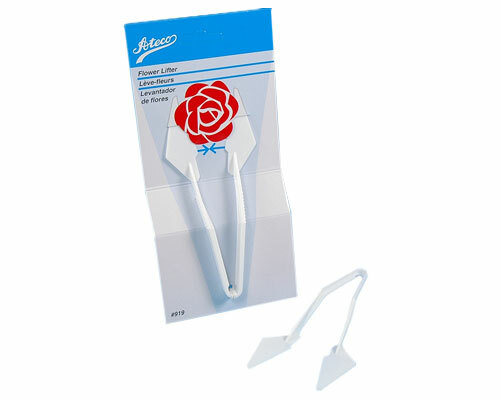 The Ateco Flower Lifter easily lifts your flowers from nail to place on your cake without any damage to your work. Use to smooth rolled fondant icing. Flexible plastic. Light weight and inexpensive. Create a professional finish with this Fondant icing smoother. 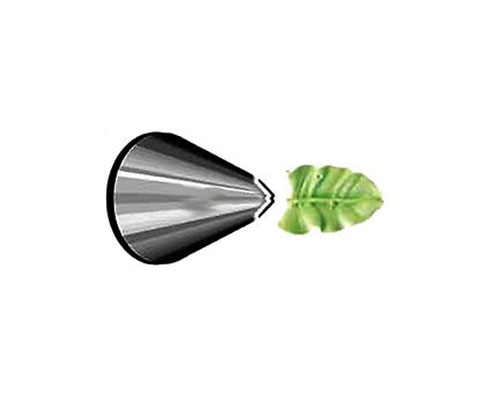 Ateco Large Leaf Tube creates those beautiful leaves to go with flower designs on cakes and pastries. 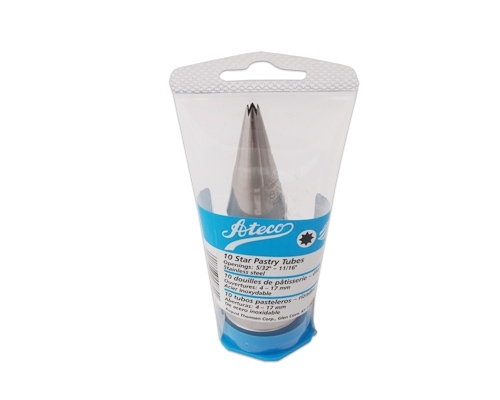 The Ateco Large Pastry Bag Coupler makes it easy to change pastry tips without emptying your pastry bag. 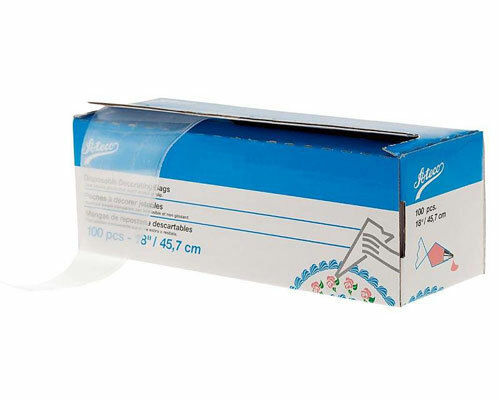 Ateco Large Rose Tube is ideal for making large decorative roses on cakes. 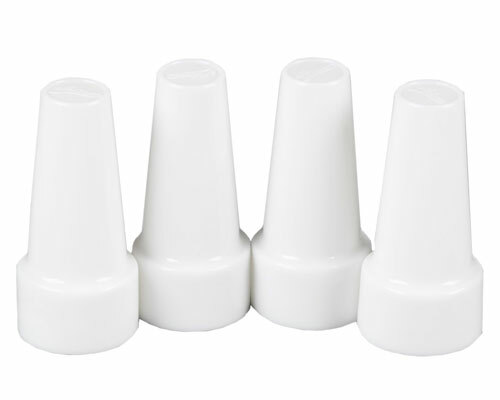 The Ateco Medium Long Eclair Tip (Medium Bismark Tube) is perfect for intricate pastry filling. 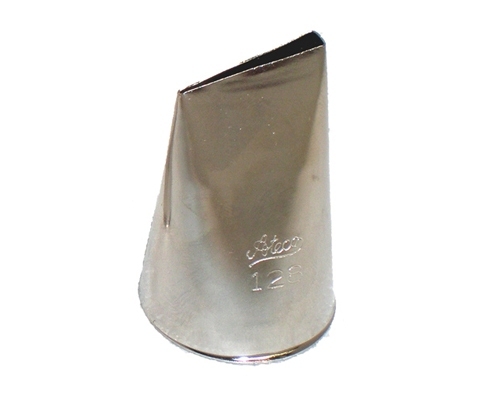 The tube is made of nickel plated steel, and is ideal for smaller pastries. 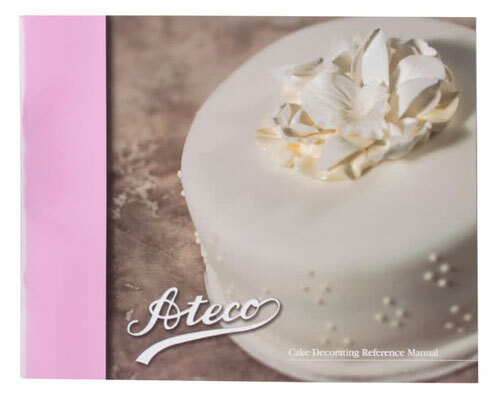 Ateco Medium Leaf Tube creates those beautiful leaves to go with flower designs on cakes and pastries. 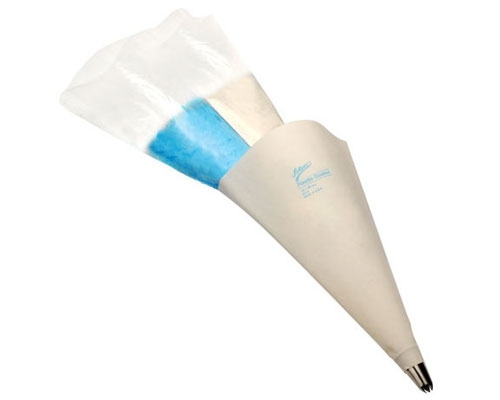 Ateco Medium Petal Pastry Tube is used for creating an assortment of medium sized flower petals. Ateco Medium Rose Tube is used for making medium sized rose flower petals. The Ateco Pastry Tip Cleaning brush has two sizes, small and large, making cleaning your pastry tips easy. 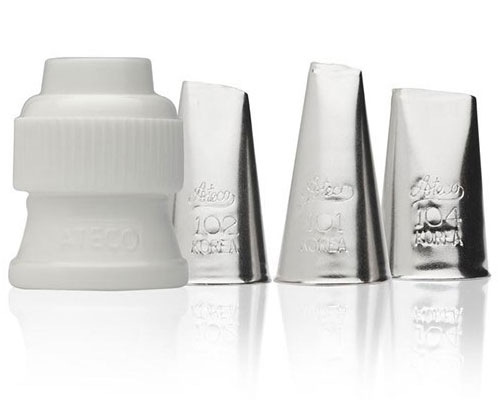 The Ateco Small Long Eclair Tip (Small Bismark Tube) is perfect for intricate pastry filling. 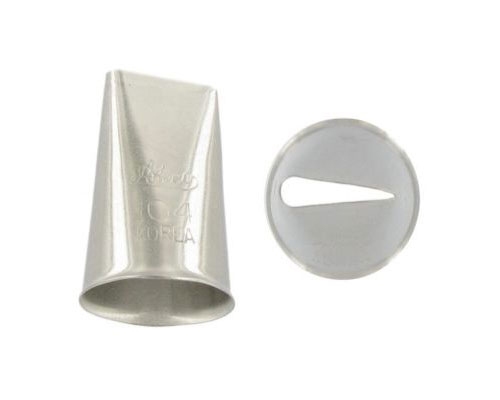 The tube is made of nickel plated steel, and is ideal for smaller pastries. Ateco Small Petal Pastry Tube is used for creating an assortment of smaller flower petals. 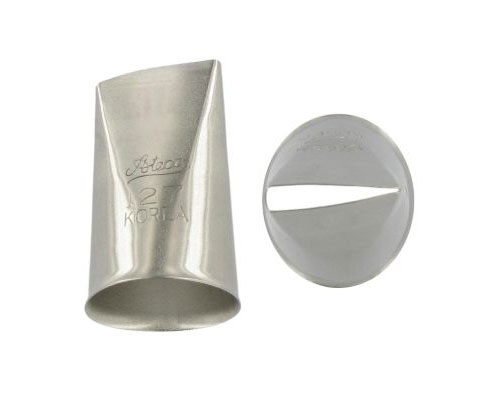 Ateco Standard Coupler fits all common sized pastry tips. 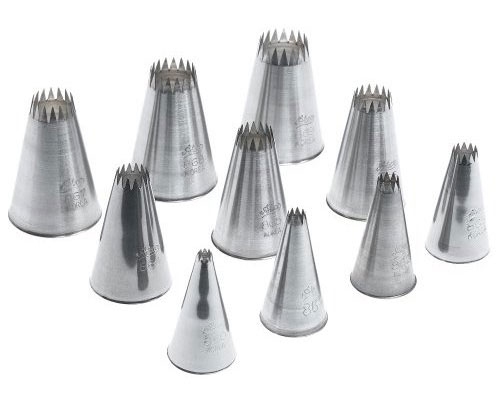 Used to easily change tips without having to empty the pastry bag. Overall Height: 1 3/16 in. 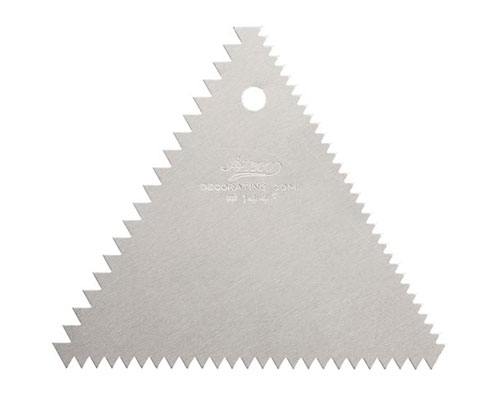 Ateco Triangular Decorating Comb has 3 different sized serrated edges for beautifying any cake. Made of Stainless Steel. Ateco Tube Covers come in a pack of 4. They fit the standard size couplers (AT400). 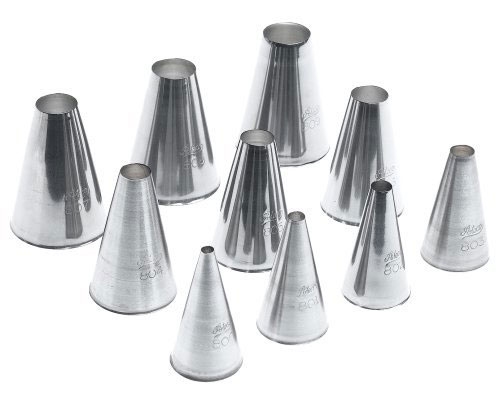 These are used to cover the pastry tips to keep icing from leaking or hardening while not in use over an extended period of time. 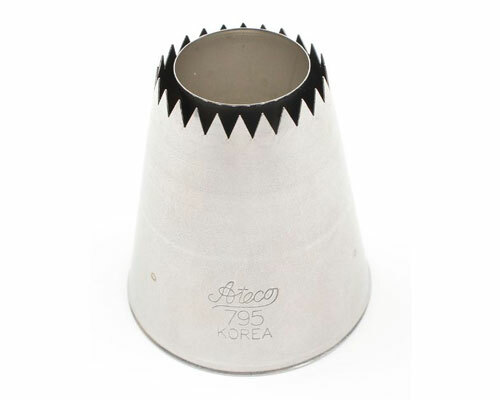 The Ateco Witch's Hat is used for creating roses on the cone of the hat, then placing then on your cake. The Knife Merchant 12 in. 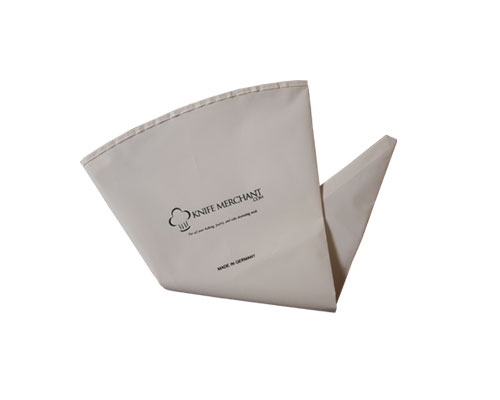 Reusable Pastry Bag is manufactured with an antimicrobial agent to retard bacteria growth and repel odors. Each bag is made with heavy duty seams, for lasting durability. Made in Germany. Cotton quality standard with anti-microbial effect. The Knife Merchant 14 in. 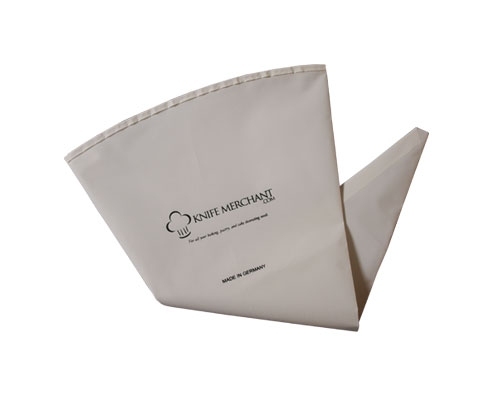 Reusable Pastry Bag is manufactured with an antimicrobial agent to retard bacteria growth and repel odors. Each bag is made with heavy duty seams, for lasting durability. Made in Germany. Matfer Bourgeat Heavy Duty disposable pastry bags are equipped with 3 layers of film that is heat resistant, durable and sterile. 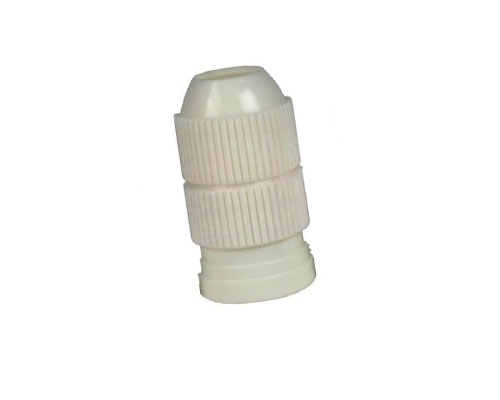 The inside is smooth for easy filling and the outside is rigid for a better grip, whether your hands are wet or dry. The Thermohauser 12 in. 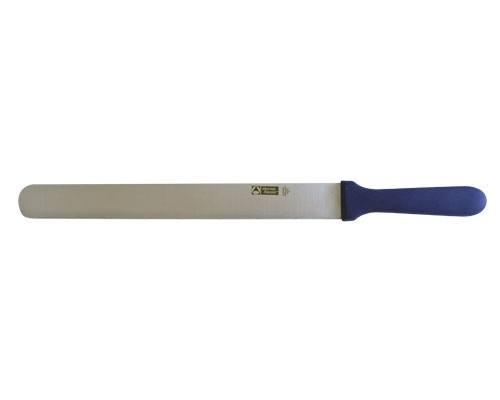 Bakers Knife is thinner and more flexible than a bread knife. A long bread knife works just fine for splitting a cake in half. However, if you need to split your genoise into 3 or 4 layers, the Thermohauser 12 in. Bakers Knife is the way to go. The Thermohauser 12 in cake knife is a good length for 10 inch cakes and smaller. 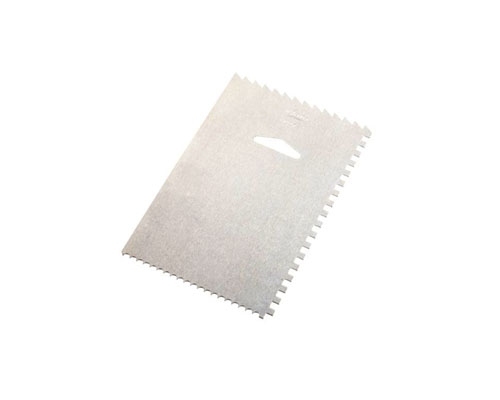 The saw style blade makes very precise cuts without throwing much crumb and makes it much easier to split a cake into three or four layers. 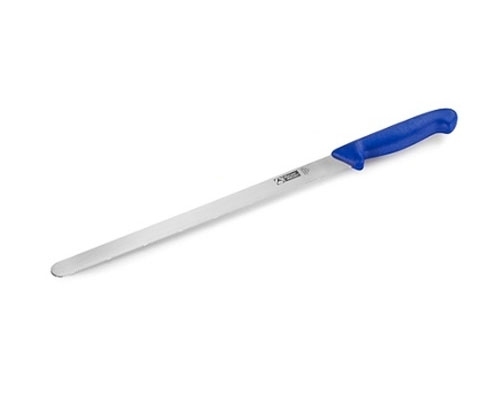 This type of blade also excels at cutting cleanly through puff pastry, baked phyllo and fondant. This selection of Thermohauser pastry combs cover just about any pattern you may want for carding your icings. The half moon shaped one also functions very well as a bowl scraper.